You can select up to 8 travellers in total. Discover five of the most charming villages surrounding Lisbon on a private day tour that showcases Portuguese history, culture, and cuisine. 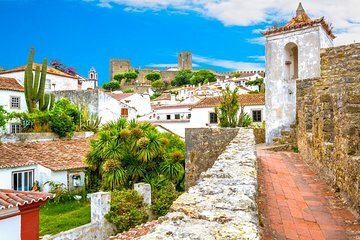 Admire medieval Obidos Castle, see legendary surf spot Nazaré, visit an ancient abbey in Alcobaça, tour Batalha’s UNESCO-listed monastery, and stop for lunch and bay views in Sitio. A private guide and driver makes it possible to fit all this into one day without renting a car.